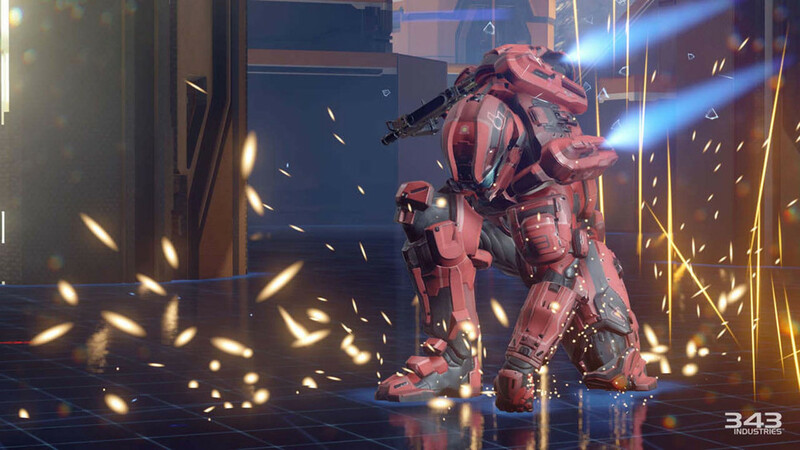 Last week at XONZ, Halo 5: Guardians multiplayer design director Kevin Franklin chatted with us about building the game's "crazy" new multiplayer. 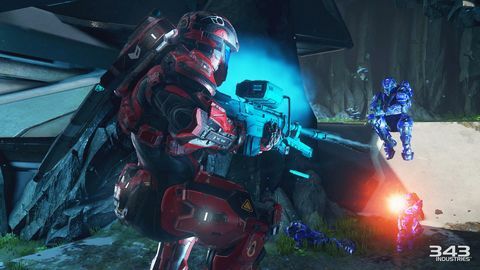 Q: What do players expect out of Halo mulitplayer? Kevin Franklin: Players have a bunch of expectations, but the core one is that we keep that classic legacy – they want their Halo. They want that feeling they got with the grenade, weapon, and melee triangle from the very first Halo, and we have to maintain that legacy. I think that’s number one. Number two: we have to push forward and be a leader in multiplayer. We have to set the path that the rest of the studios and the rest of the games will fall into. That has been an immense challenge, that balancing act between the two of them. Kevin Franklin. 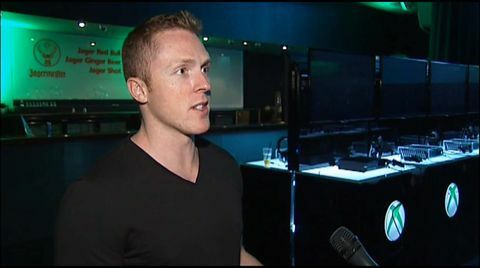 Image credit: 3News. 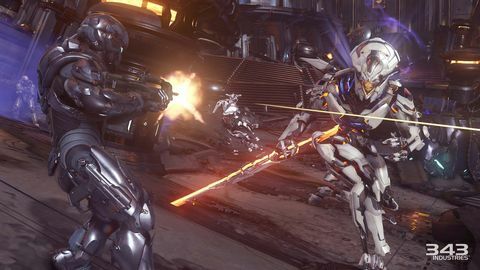 The way we took that on in Halo 5 was we have the biggest multiplayer investment ever, and we’ve broken the multiplayer into two different games: Arena, which is four-on-four, e-sports driven, very competitive; and then our all-new crazy bet Warzone, which is the 12-on-12 mode, in which we have AI for the first time, all the vehicles, all the weapons, and dynamic objectives. It’s been crazy building that. We knew we couldn’t make compromises. We wanted to make sure that we weren’t sacrificing certain things in the arena experience to make vehicles work, and that we weren’t sacrificing big vehicle play to make core competitive work. We were like, “Man, we can’t just make one mode to satisfy both these audiences.” We made the decision pretty early to separate it, and that’s going to let us have a much better offering than we ever have before. Q: How did Warzone's PvPvE come about? Kevin Franklin: About two-and-a-half years ago we took one of our Arena levels, put a flag in it, some AI, and we told them to guard that flag. We put four players in it, and made them go after the flag, and it was really awesome for us, because every single game was different. The way the AI reacted, the time the players got there, the three-way battles that would happen. Everyone was very surprised. So we knew AI in MP was cool, it was “how do we scale this up?” And that’s when we went crazy. We tried lots and lots a ways to feature the AI. We started with the marines because we knew people liked them, but we had to decide: do they roam around the map, do they follow the players, do they guard the bases? Then on the AI in the map, we started just putting them all over the place, but we found they weren’t as meaningful when you could put them everywhere and they were just kind of distracting you. So we got in our heads that we wanted players to explore and tackle these dynamic objectives, and we didn’t want too many things to distract you. The next thing we did was narrative. We wanted to have a rich way of contributing to the franchise, so each Warzone map has 12 unique bosses. So, they have different tuning, they have different powers, they have different names, and that was really cool going in and building those. Q: It almost feels like something out of a MOBA at times – you can kill a boss or focus on the other team. Kevin Franklin: Yeah, the decision points you make are very similar to a MOBA. We want teams to have to communicate and try to figure out what the best way to win is. So we’ve seen a lot of games where the score might be 700 to 500 and a legendary boss comes onto the battlefield, and it’s like “Okay guys, do we cash in all our marbles and go after this boss, or should we let them take the boss and do we go take their bases and attack their core?” We really want to have a ton of depth. Every match is infinitely replayable. Q: Where do you start with level design? Kevin Franklin: Our very first map, Crossfire, we made symmetrical. Then we did mirrored symmetrical. Once we had those ones down, we got the pro team involved – our group of competitive gamers – and we challenged them to make a map. And they made two of the maps that are shipping in the game. So we really put it on them! Then we have a level designer named Adrian Bedoya, who’s an absolute genius of competitive multiplayer map design. He built almost all of the maps in Halo 5, he’s very talented and gifted. He works with our multiplayer designers and competitive gamers and the art team very closely, to make sure we have these very refined experiences. Q: You might be able to correct me here, but the game feels faster. Is that the case? Kevin Franklin: Yeah, absolutely. One reason it feels faster is it runs at 60 frames a second, so the game’s a lot more responsive. Then everything has been retuned. I can’t really say that specific things are faster than others cos we always have to look at things relative to the whole sandbox, but I find it a little faster and smoother than what we had before. One thing we wanted to look at is certain games – twitch games – if you watch people’s hands while they play, their fingers are just dancing all over the place. When I watch our pro gamers play, their hands are moving a lot slower, and I think that’s because they’re executing their strategy – they’ve gotta make every shot count. They’re still fast, but they’re taking enough time to make all their battle rifle shots hit. They’re taking the time to make sure all their grenades land in the right spot. They’re very efficient with their actions. 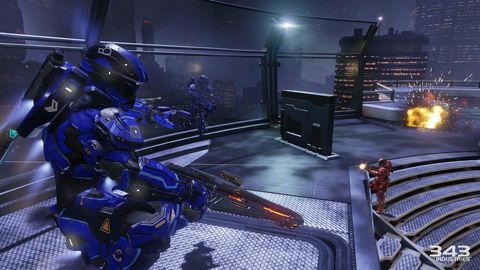 So that’s one thing that I’ve always felt made Halo unique – even in a very fast shooter, there’s still a methodical, strategic approach to it. Now with score, thoughts on multiplayer.